The NFL Draft is finally here with the first round tonight in Nashville. The Arizona Cardinals hold the No 1 overall pick with most expecting them to take a quarterback for the second successive year in the first round. The electric Kyler Murray is tipped to move to Phoenix, with Josh Rosen failing to convince under difficult circumstances in his rookie year. The Johnson County (Kan.) district attorney's office announced Wednesday it will not file charges against Kansas City Chiefs wide receiver Tyreek Hill or his fiancee following an investigation into two March incidents at the couple's home involving their 3-year-old son. "We believe a crime has occurred," District Attorney Stephen Howe said. Howe added the criminal investigation has been closed, although the child protection investigation is continuing. The contract keeps Tucker in Baltimore through the 2023 season and is worth $23.05 million, with $12.5 million guaranteed in the first two years and an $8 million signing bonus, ESPN reported. Columbus eager to get back to business after stunning hockey world The Columbus Blue Jackets are through marveling at their stunning sweep of the Tampa Bay Lightning as they set their sights on a second-round Stanley Cup Playoffs clash with the Boston Bruins. Columbus stunned the hockey world by eliminating Tampa Bay in what was the franchise's maiden playoff series win and also the first four-game sweep of a regular-season National Hockey League champion in an opening-round series. For the second time in three years, running back Marshawn Lynch is hanging up his cleats and helmet. According to a report from ESPN's Adam Schefter, Lynch has decided to retire and end his football career ... again. After he finished the 2015 season with the Seattle Seahawks, the team he'd been with for five seasons, he announced that he was retiring. After the Oakland Raiders announced their move to Las Vegas, Lynch — an Oakland native — was inspired to return to football. Seattle Seahawks Draft Preview - Secondary depth and a nickel corner are needed originally appeared on nbcsportsnorthwest.com Part 6 in an eight-part series that takes a position-by-position look at the Seattle Seahawks' needs heading into the NFL Draft on April 25-27. Past posts: Quarterbacks; Running backs; Offensive line; Wide receiver; Tight end. Today: Defensive backs. NASHVILLE, Tenn., April 23, 2019 /PRNewswire/ -- St. Jude Children's Research Hospital® patient Owen will be a special guest of the National Football League (NFL) when he announces the Seattle Seahawks' round three draft pick onstage on Friday evening, April 26, in Nashville, Tennessee. Former NFL MVP running back Shaun Alexander will join Owen onstage to raise awareness of the St. Jude mission: Finding cures. NFL Draft order 2019: Updated list after Seahawks-Chiefs Frank Clark trade originally appeared on nbcsportsboston.com A blockbuster trade Tuesday involving the Seattle Seahawks and Kansas City Chiefs has impacted the order of the first round of the 2019 NFL Draft. Here are the reported details of the trade, highlighted by Seahawks defensive star Frank Clark heading to Kansas City. The Seahawks now have two 2019 first-round picks. The Seahawks were able to pare Frank Clark from the payroll today, and one of the guys who could benefit from that went under the knife. According to Ian Rapoport of NFL Network, Seahawks defensive tackle Jarran Reed underwent core muscle surgery today in Philadelphia. Reed had 10.5 sacks last season, making him one of the few dependable sources of pass-rush they have after dealing Clark to Kansas City. The Kansas City Chiefs acquired pass rusher Frank Clark from the Seattle Seahawks for a package of picks Tuesday, then quickly agreed with him on a $105 million, five-year contract, as they continue to overhaul their much-maligned defense. The Chiefs sent the No. 29 overall pick in this year's draft and a second-round pick in 2020 to Seattle, a person familiar with the negotiations told The Associated Press. Clark planned to head to Kansas City to complete that in the next 48 hours. The trade, first reported by the NFL Network, also includes a swap of third-round picks in this year's draft. That means the Chiefs will move up eight spots on Friday night. Chiefs general manager Brett Veach said last week that he was aggressively trying to upgrade the defense, and he acknowledge the window for winning a Super Bowl title began last season. That's when Patrick Mahomes took over at quarterback and had an MVP season as a first-time starter, leading Kansas City to a third straight AFC West title and the conference championship game. "We want to take the next step," Veach said. "Certainly, it goes without saying our offense we pretty efficient last year and I think we are always looking to improve and get better." Seattle already had the 21st pick overall pick Thursday night, and now general manager John Schneider has an additional first-day selection as he begins rebuilding his own defense. The Seattle Seahawks traded Frank Clark to the Kansas City Chiefs on Tuesday, and the star pass-rusher has made it clear he is unhappy with the way his former team handled the situation. Not long after the blockbuster trade was completed, Clark shared his thoughts with ESPN’s Josina Anderson. While he insists he understands the business side of the NFL, he also said the Seahawks “used me for everything I had.” After acquiring him for a first-round pick this year and second-round pick in 2020, the Chiefs immediately made Clark the third-highest player in the NFL by signing him to a five-year, $105.5 million extension. Kansas City was in need of a pass-rusher after trading Dee Ford and releasing Justin Houston, and the amount they paid both in draft capital and money reflects how highly they think of Clark. Seahawks GM John Schneider was surprisingly honest this week when talking about keeping key players in Seattle, so the writing may have been on the wall for the Clark trade. Frank Clark was the man of the hour on Tuesday after being traded to the Kansas City Chiefs and then landing a huge contract. J.J. Watt took notice. ESPN’s Adam Schefter reported the terms of the deal as being more than what DeMarcus Lawrence got from Dallas recently. Watt, who signed a six-year, $100 million extension back in 2014, posted a single-emoji response on Twitter after the terms of the contract were reported. It seems pretty clear that Watt is wondering how players who don’t measure up to his greatness are making more than he is. It turns out the Chiefs did have plans to trade for a defensive player after all, just not the player fans thought they were getting in a rumor that made the rounds on Tuesday. Shortly after it was revealed that All-Pro cornerback Patrick Peterson had not been dealt to Kansas City like so many thought, ESPN’s Adam Schefter reported that Seattle agreed to trade defensive end Frank Clark to the Chiefs for a haul of draft picks. Clark, who got the franchise tag from the Seahawks this offseason, is coming off the best season of his career. He had a team-high 13 sacks and forced four fumbles last season. With Kansas City transitioning to a 4-3 scheme on defense next season, Clark fills an immediate need on the edge. That said, the Chiefs’ next order of business will be to address the secondary, which was among the worst in the NFL last season. As for the Seahawks, those additional draft picks could be spent on Clark’s replacement on the defensive line and on help for recently extended quarterback Russell Wilson. RENTON, Wash. (AP) — Seahawks general manager John Schneider knows there is going to be speculation about Frank Clark's future at least until the first round of the NFL draft on Thursday since the defensive end would seem to be the most viable trade commodity that could land Seattle the draft picks it covets. Seattle resolved one long-term issue last week when it signed quarterback Russell Wilson to an extension that made him the highest-paid player in football and would keep him with the Seahawks through 2023. But the deal may also have priced Seattle out of keeping Clark, who is set to play the upcoming season on the franchise tag after the sides were unable to come to agreement on a long-term deal. Clark will make $17.1 million if he signs his franchise tag tender. Keeping Clark around also becomes more difficult because Seattle needs to try to sign defensive tackle Jarran Reed and All-Pro linebacker Bobby Wagner to extensions. "Feasible, very challenging," Schneider said when asked about getting long-term deals done for all three. 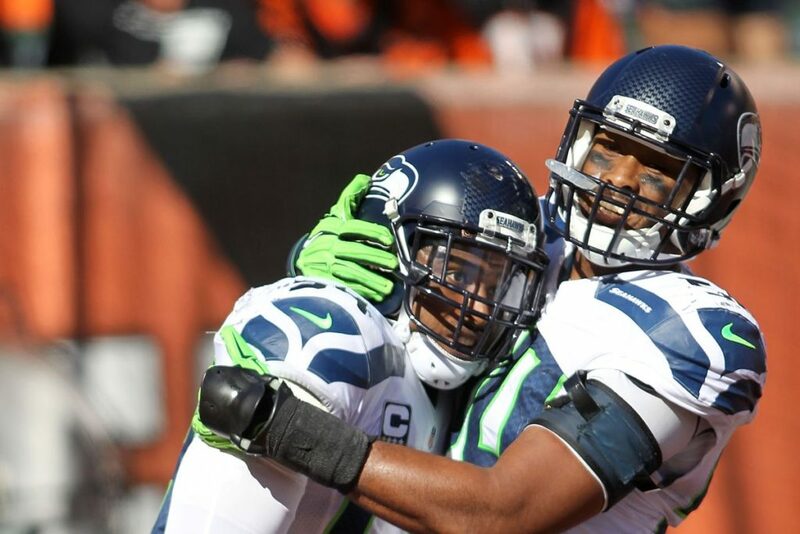 The Seattle Seahawks are facing a salary cap crunch, and it is likely going to lead to the departure of a key player. The Seahawks have three key members of their defense facing potentially difficult contract negotiations in the near future. Linebacker Bobby Wagner is entering the final year of his deal, defensive lineman Frank Clark is refusing to report until he has a long-term agreement and defensive tackle Jarran Reed is in the final year of his rookie deal. Things are made even tougher by the fact that Russell Wilson’s new long-term deal removed some cap flexibility. In other words, GM John Schneider has some tough decisions to make. On Monday, he admitted that it would be a very difficult task to keep all three players long term. At the moment, Clark seems available for trade and most likely to move. As the only player who is currently refusing to report as a result of being franchise tagged, it makes some sense, but it’s hard to imagine the offseason passing without one of the three departing Seattle. 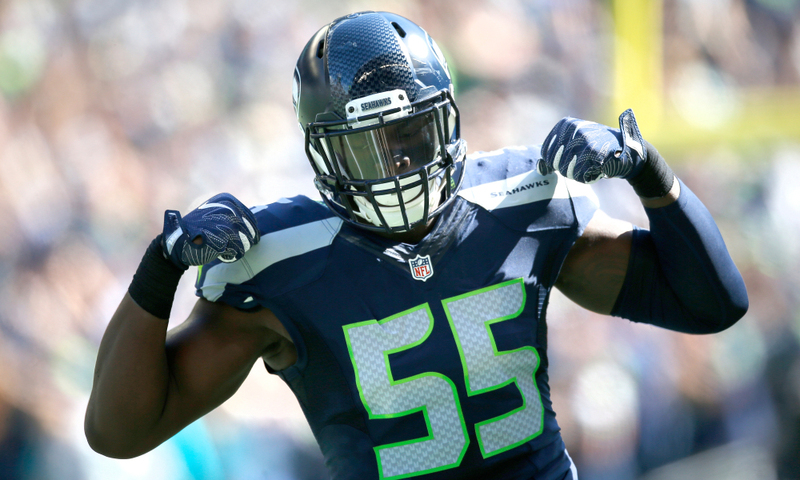 The Seattle Seahawks are open to trading Frank Clark, though their price for a deal is reportedly high. Seattle is seeking a first-round pick in return for Clark, according to ESPN’s Adam Schefter. The Seahawks franchise-tagged Clark this offseason and would owe him around $17.1 million if he were to sign the tender. He has stayed away from the team in hopes of receiving a contract extension. However, due to the money the Seahawks just gave to Russell Wilson, they may want to try to shed Clark’s potential salary. Several teams have expressed interest in a Clark trade. The Buffalo Bills and New York Jets have been mentioned as potential trade partners. Clark, 25, had 13 sacks last season. He has 32 sacks over the last three seasons. The Seattle Seahawks and star defensive end Frank Clark have yet to come to terms on a long-term deal after they placed the franchise tag on him earlier this offseason. It’s led to speculation that Seattle could ultimately trade its leading sack-getter from a season ago. We now have some concrete information suggesting this. NFL Media’s Ian Rapoport is reporting that it’s possible Clark will be dealt during the 2019 NFL Draft next week. After giving Russell Wilson the largest contract in league history earlier this week, Seattle might not be in position to hand Clark $20-plus million annually on a long-term deal. If Clark is indeed moved, it would likely be for a first-round pick. The 25-year-old pass rusher has recorded a whopping 66 quarterback hits and 32 sacks over the past three seasons. "The next deal was going to be the place where, 'Hey, if we're going to be in Seattle, wherever it's going to be, I want to make sure that's where I'm going to be for the next 10-12 years hopefully,'" Wilson said Wednesday, a day after signing the $140 million, four-year contract extension that made him the highest-paid player in the NFL. "That was kind of my mindset, from (age) 30 to 40. And then you reassess, you add on, and everything else. But the reality was for the next 10 years." His new deal will cover half that 10-year window. He has the highest yearly average salary at $35 million per season. He has the highest signing bonus ($65 million) and guaranteed money ($107 million) in league history. He's under contract through the 2023 season. The negotiations wrapped up just before midnight as Monday clicked over into Tuesday. It was the deadline Wilson set for getting a long-term extension done before accepting the likelihood he had only three more seasons in Seattle. The deadline was real in Wilson's mind.